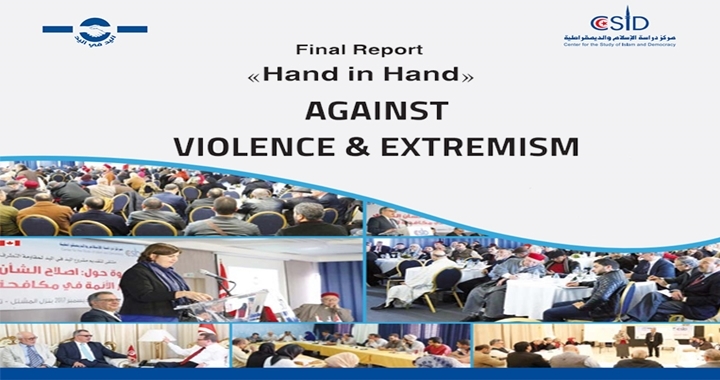 The forum began with a session chaired by Dr. Radwan Masmoudi to introduce the Hand in Hand project to counter extremism. The speakers on the panel were Mr. Tarek Harrabi, Chief of Cabinet for the Minister of Religious Affairs, Ms. Carol McQueen, Canadian Ambassador to Tunisia, Mr. Hmida Enneifer, Chairman of the project Steering Committee, and Mr. Mohamed Ben Ali, Civil Society Liaison Officer at the Ministry of Religious Affairs. After welcoming the audience, Dr. Masmoudi gave a brief overview of the project and thanked the Canadian Embassy for its support, as well as the Ministry of Religious Affairs for its cooperation and assistance during the project. 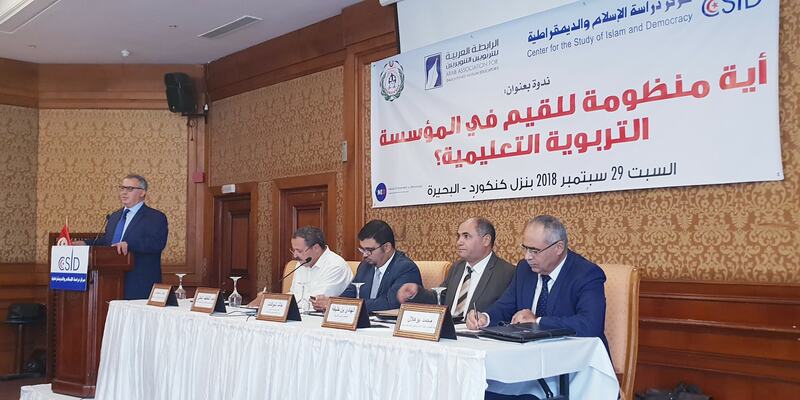 The first speaker, Mr. Tariq Harrabi, praised the Center’s efforts in the training and development of imams in order to counter the phenomena of extremism and « terrorism, which has touched all regions of the world and is not exclusive to Tunisia ». He emphasized the Ministry’s neutrality with regards to all political, ideological and intellectual matters. Ms. Carol McQueen praised the Center’s efforts in the implementation of the Hand in Hand project. She expressed the Embassy’s appreciation of the Center’s efforts to contribute to the reform of the religious sphere. A detailed presentation of the Hand in Hand project was then given by Ms. Emna Enneifer and Ms. Emna Hanzouli in both French and Arabic. The opening session was followed by a seminar titled « Reforming the Religious Sphere and the Role of Imams in Fighting Extremism », moderated by Mr. Hmida Enneifer, President of the Tunisian Association for Culture and Pluralism. 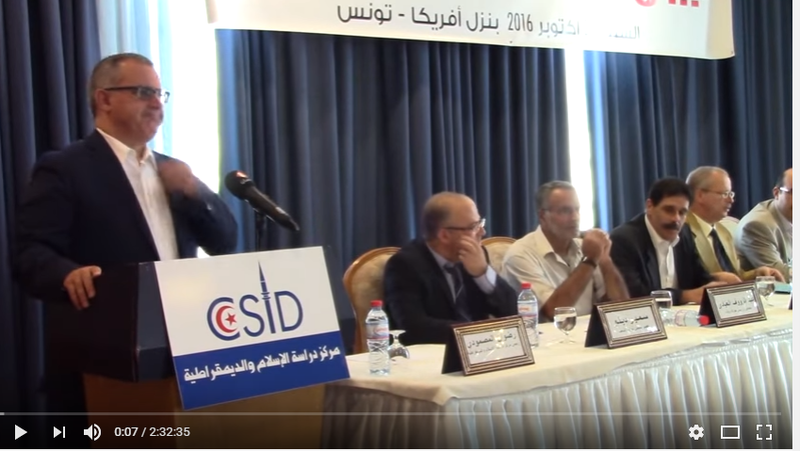 The panel featured the following speakers: Mr. Salaheddine Jourchi, Editor-in-Chief of the Chabiba.TN website, Mr. Hedi Rouchou, Director of the Higher Institute of Sharia (Ministry of Religious Affairs) and Mr. Sami Brahem of the Tunisian Center for Economic and Social Studies and Research. Mr. Hmida Enneifer began by defining the concept of the « religious sphere » and focusing on the role of imams in the Tunisian context given their importance in this field. He highlighted the influence of religious discourse from the Muslim world and other parts of the world as a whole. Mr. Enneifer also noted the necessity of changing the attitudes of imams and directing their attention to their important religious and social role within their immediate environment, through which the phenomena of extremism and terrorism can be addressed. He ended with a historical overview of the process by which religious discourse became stagnant and stopped developing to reflect changing reality and needs. Mr. Hedi Rouchou presented the training program for religious leaders at the Higher Institute of Sharia, which is responsible for their continuous development. The Institute also contributes to the preparation of programs and organization of regional and local levels seminars and training courses for the benefit of religious inspectors, preachers and imams. The Institute is also responsible for training the trainers who oversee the regional and local seminars and training courses and equipping religious leaders with the knowledge and methods they need in the field of Islamic sciences. Mr. Rouchou ended by observing that the budget for the training program is merely 50 million dinars, which is insufficient. The third speaker, Mr. Salaheddine Jourchi, spoke about religious leaders and the current difficult context they are facing. 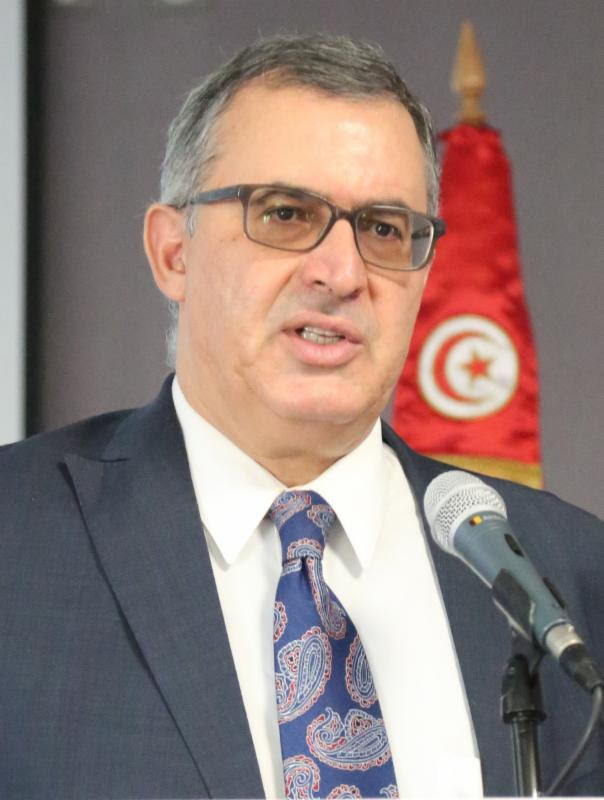 He pointed to the need for religious actors to be aware of the difficult phase that the religious sphere is going through in Tunisia and made the following recommendations. First, religious leaders must be able to communicate well with different groups. Second, the need for imams to support the democratic transition raises the question of whether religious leaders are ready to accomplish such tasks. Third, the religious sphere is a difficult and complex sector that will take a long time to reform. Fourth, religious leaders face difficult economic conditions due to low grants and wages. Fifth, a review is needed of theknowledge and cognitive skills of religious leaders. Sixth, the need to review the principles underlying religious discourse directed at young people in order to make it closer to their thinking. Seventh, it is clear that there is a will within the religious leadership to change, and this is always possible as long as the will exists. Eighth, there is an urgent need to reform religious discourse, since extremism and terrorism cannot be confronted without preparation. 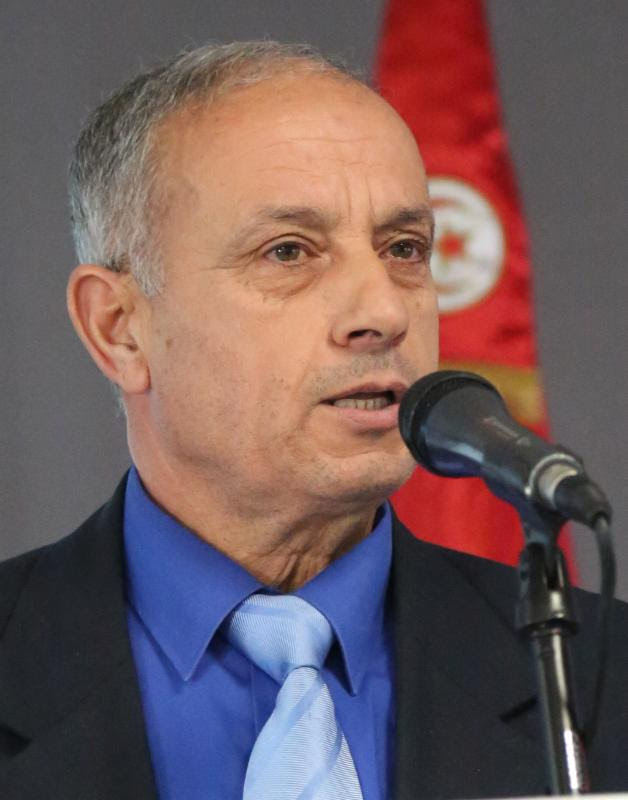 Mr. Jourchi likened doing so to « entering into an intergalactic war with conventional weapons ». Mr. Sami Brahem talked about the challenges within the religious sphere after the revolution. He gave an overview of these challenges, first of which is the breakdown within the religious, media and cultural spheres, which led to a clash between the media and cultural spheres on the one hand and the religious sphere on the other, which led to division and polarization. 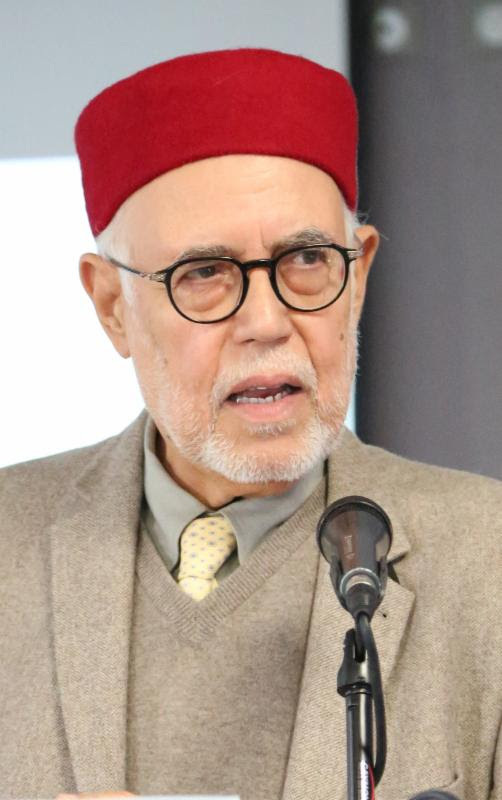 Second, he highlighted the weak academic, cultural and educational influence of the Zaytouna University on Tunisian society, and its inability to play a role as a cognitive, theological and cultural reference point because of the restrictions and constraints imposed on the university before the revolution. In Mr. Brahem’s view, these challenges have had a number of effects. First, the emergence of new religious identities in unprecedented ways based only on the believers’ own religious understanding and on new cognitive and cultural sources of information. 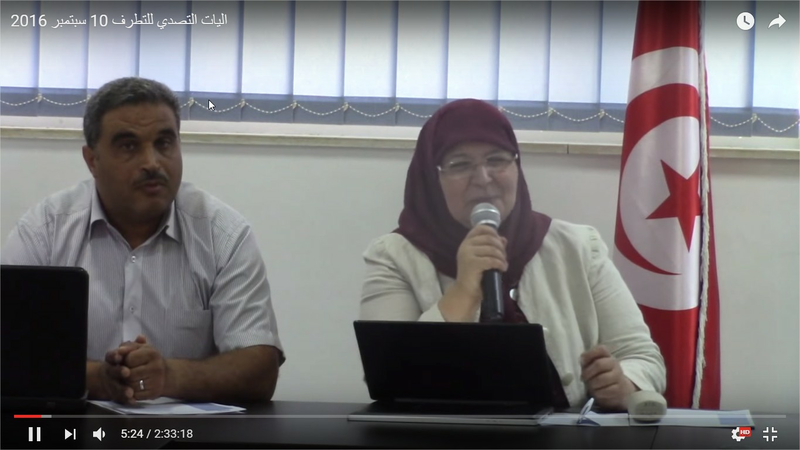 Second, the breakdown of the relationship between religious discourse and Tunisian authenticity, and the lack of connection with the intellectual framework of the Tunisian religious school. Third, the questioning of existing religious institutions and demands for their dissolution and replacement. In light of this reality, Mr. Brahem called for a series of substantive reforms that can achieve an overall strategic vision. 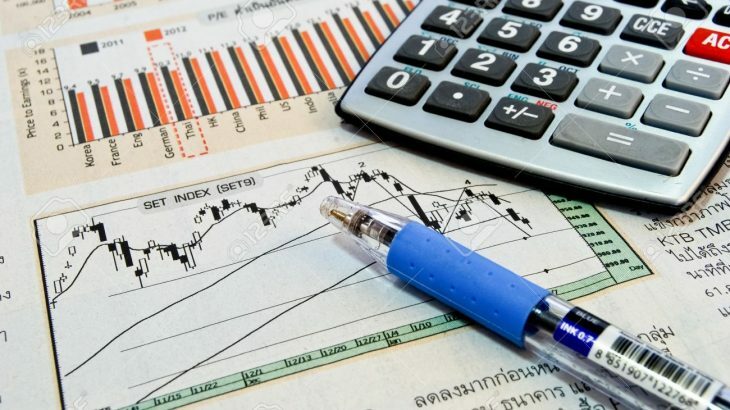 First, the reform of official and semi-official institutions, which are subject to review by the Ministry of Religious Affairs, such as the Supreme Islamic Council. Second, launching a comprehensive reform of the Zaytouna University in order to enable it to play its role as an academic beacon with a global reach and a contributor to the development of religious discourse and content. Third, a profound reform of religious and educational content within the curriculum. During the discussion, a large number of issues were raised. One of the most salient issues raised was the unequal attention paid to border regions that are more exposed to extremism and violence. Some imams also stressed that countering extremism and terrorism is not the responsibility of the imam alone. Some audience members argued that it is essential to teach all schools of thought and to entrench freedom of belief, so as to guard against the recruitment of young people by extreme religious groups. 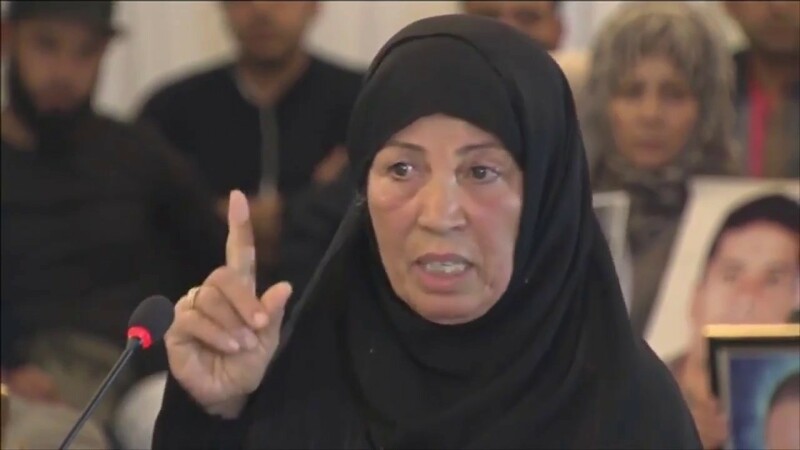 Several female attendees argued that female preachers are largely absent and called on the Ministry of Religious Affairs to further involve them in reforming religious affairs. 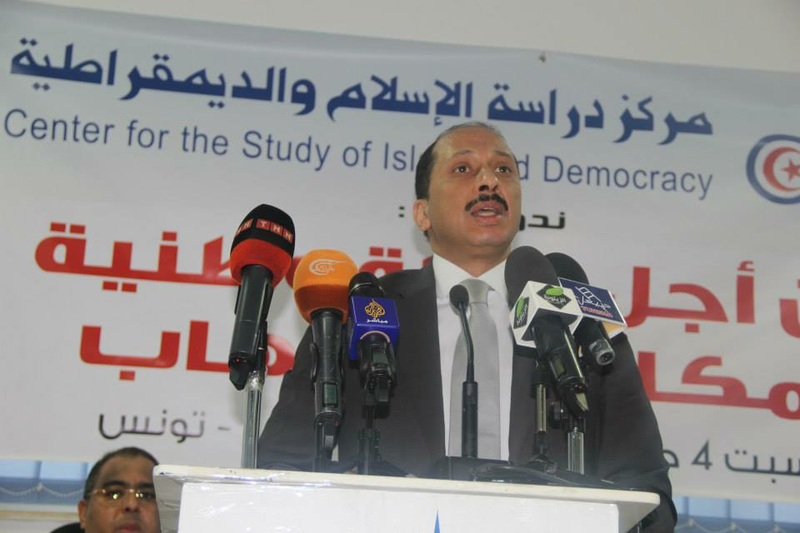 During the interaction, Mr. Brahem stressed the need to deal rationally with secular extremism. He also called for the need to review and update ideas in order to respond to a changing reality. He argued that imams are part of society and their ideas should not go against the public interest. Mr. Jourchi referred to the very difficult social and financial situation of imams and preachers, arguing that if this is not addressed, the religious sphere cannot be reformed. He also called for deepening cooperation between the Ministry of Religious Affairs and civil society, stressing that the imam should not be subordinate to government authorities. The imam’s relationship with authorities is an administrative one, whereas the imam should be guided by his conscience. Mr. Hedi Rouchou highlighted that the training of religious leaders means dedicating the necessary financial resources. 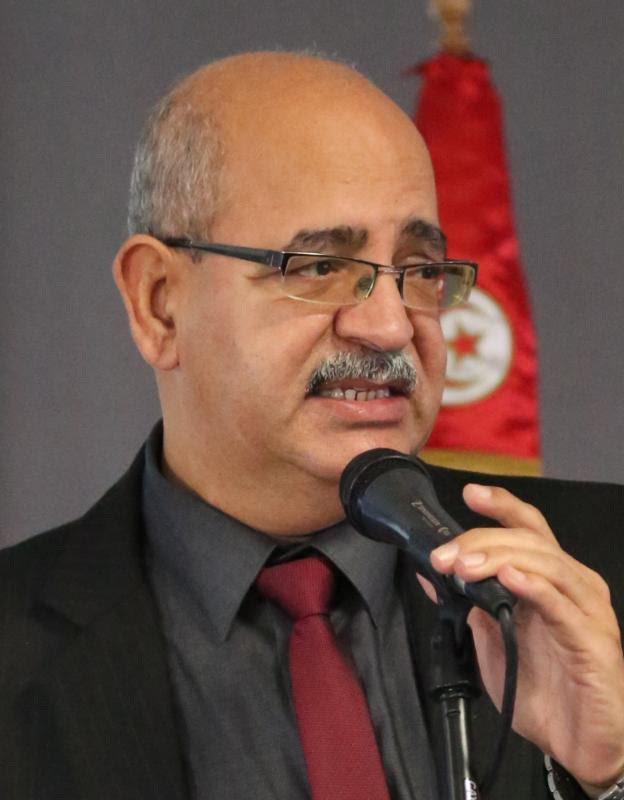 He also stressed that it is necessary to teach a single religious school of thought so that Tunisians have a strong foundation, from which they can then get to know other doctrines. He also highlighted that only 6 percent of imams have specialized religious training, while the rest have no specialized religious background and are therefore in need of constant training. 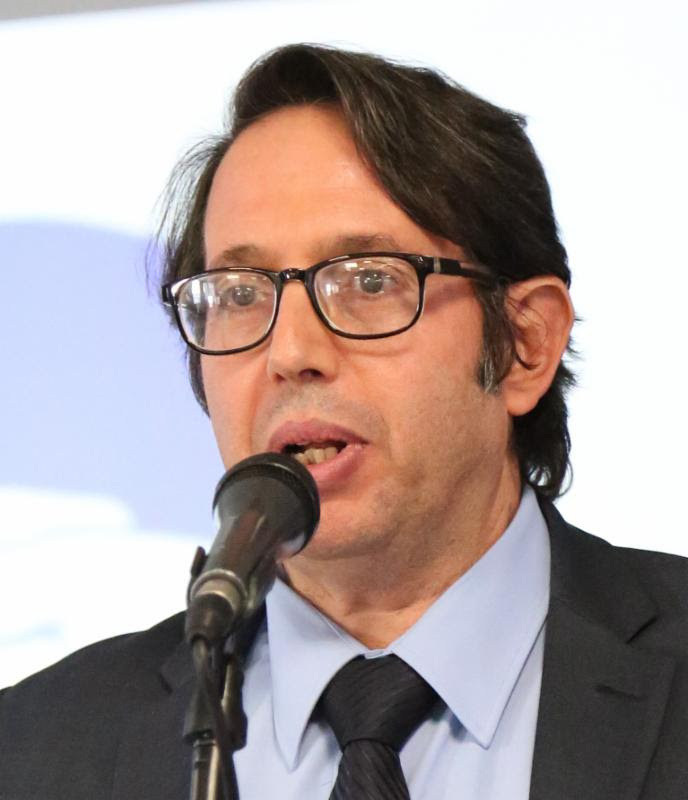 Mr. Hmida Enneifer considered that reform of the religious field could begin with distinguished imams and the Union of Imams playing a role in dealing with the topics using a different and comprehensive approach.